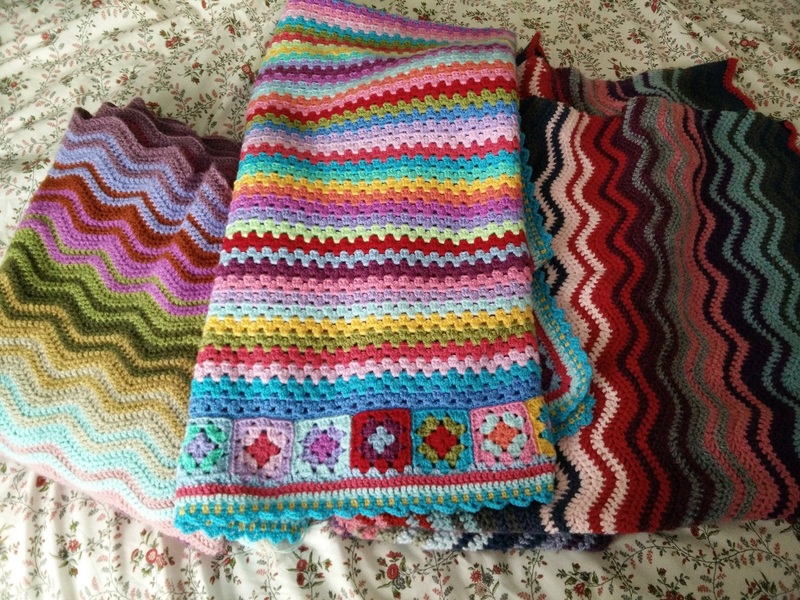 Ooh I am so pleased with what I have been making today! Just to get one thing clear before I tell you about it, this is an idea I've copied from Lucy at Attic24, who last year (I think) made her own Christmas cards. If my memory is right, she made a picture and had some cards printed with the picture on it. 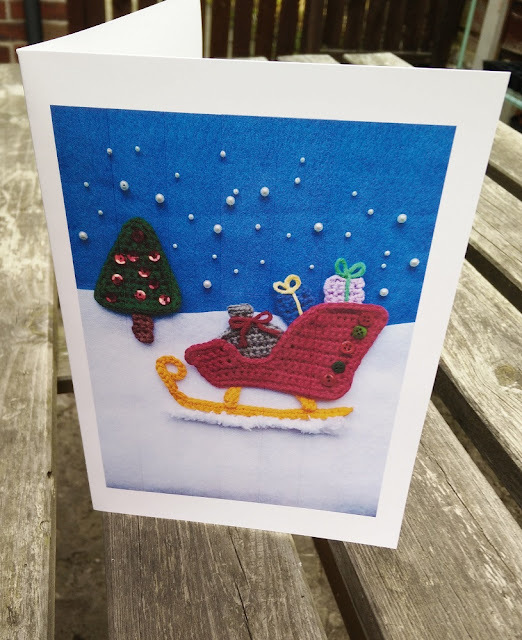 I haven't done this, I have bought my own glossy greetings card blanks and I'm printing my own, so I can tweak it and maybe do lots of different ones. 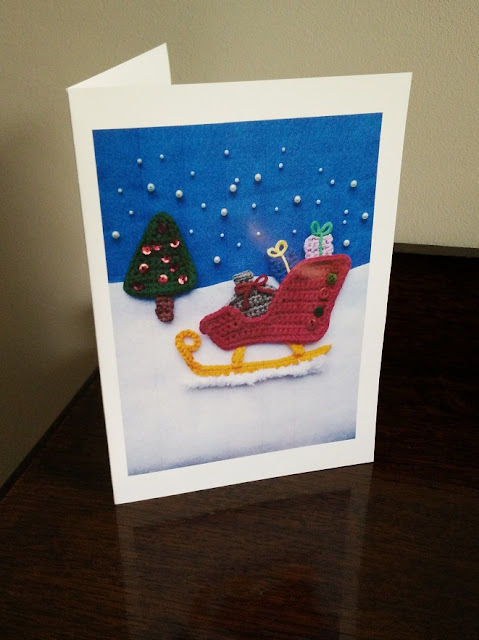 There are so many things I could put on a Christmas card but I wanted to use my favourite bright cotton, Rico Creative Aran, which is quite bulky and makes nice simple shapes. So it had to be a simple design without too much detail. 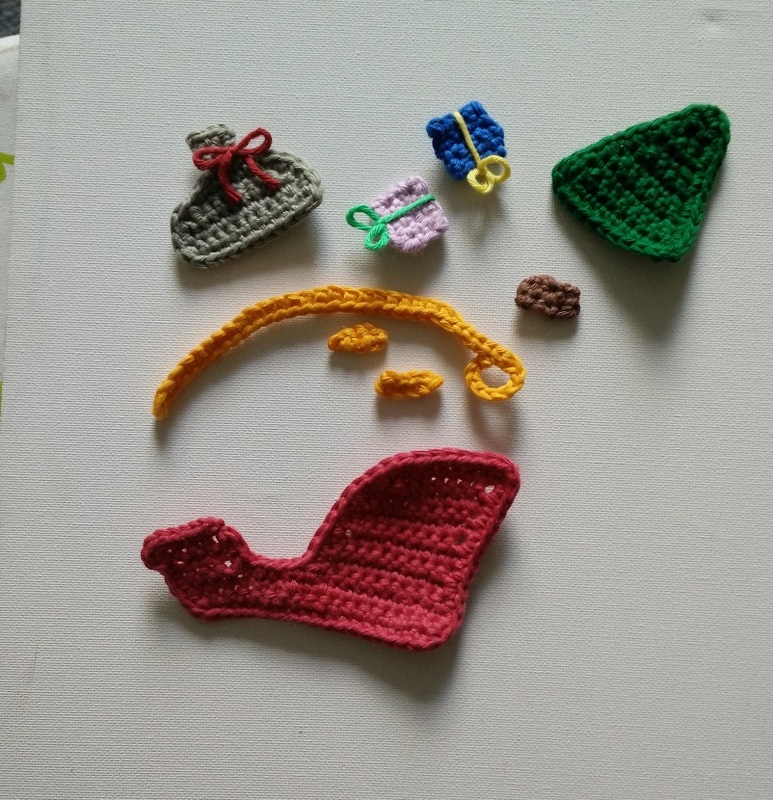 I made these bits with a basic idea in mind and added little bits here and there as the idea developed. A few buttons and beads, and look! Now to wind up my ancient printer and see what would happen. My printer isn't that great and I will be replacing it soon, before I do a final print of my Christmas cards but I am so happy with how it turned out!!! My goodness! 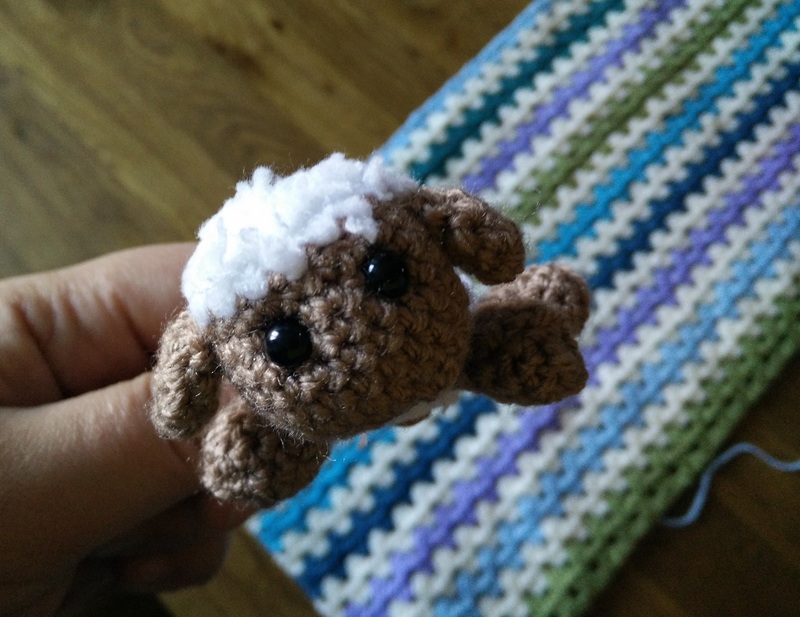 I didn't realise it had been so long since my last post! The end of the summer holidays seems like a long time ago now and since then I have been very busy getting back into the old routine of work-life and fitting in the boring household stuff and generally getting back to normal. I have several irons in several fires with crochet at the moment but none are ready for me to tell you about yet. 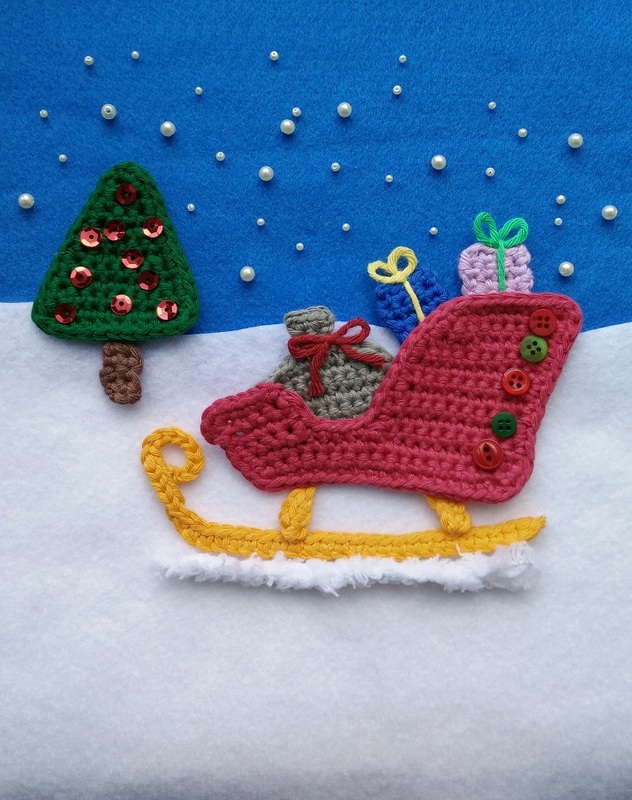 Lots of Christmas ideas are bubbling up and there is one project in particular that I am very excited about. 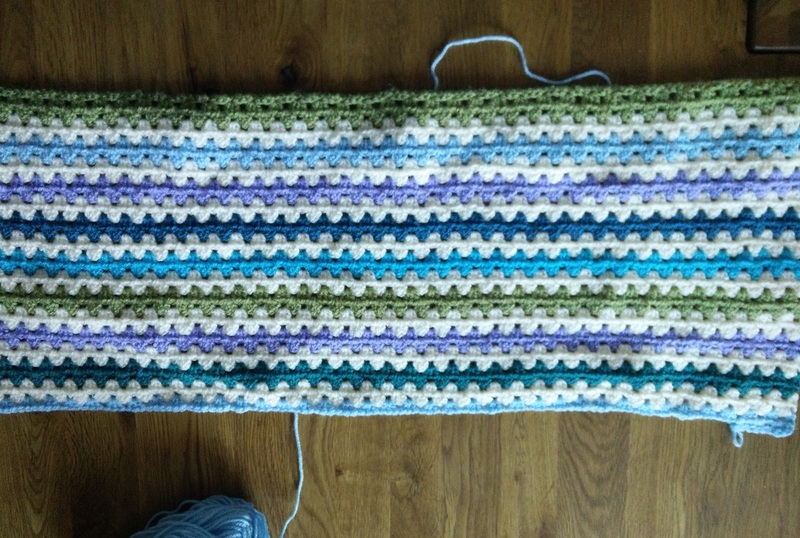 For now though I am making a simple granny stripe baby blanket for a friend that is expecting soon. It is for a boy and I think these colours work well. 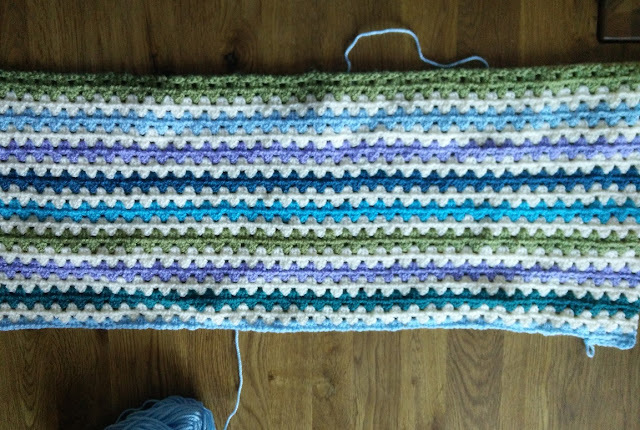 I didn't want to just use shades of blue so I've mixed in some greens and a lilac too. This is my favourite type of relaxing hooky, something to take to work to do in my lunch breaks or at home late in the evening when I don't have to concentrate too much. 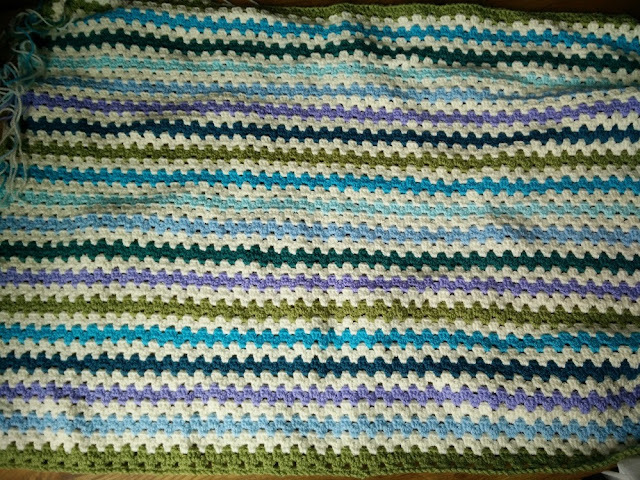 I love making blankets at this time of year, even smaller ones like this, they add an extra layer of snuggly while it's getting a bit chilly, but we try very hard not to put the heating on for few more weeks. 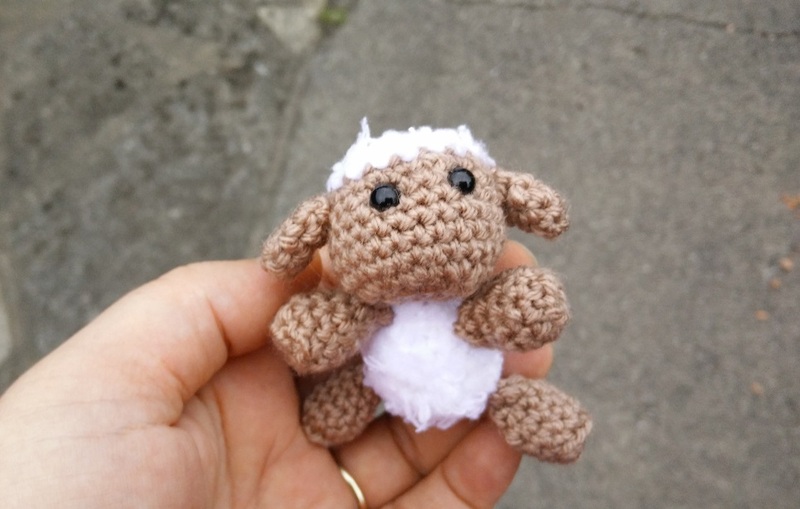 Two and a half little flying lambs made and I plan to get the third and other bits for the mobile finished this weekend. 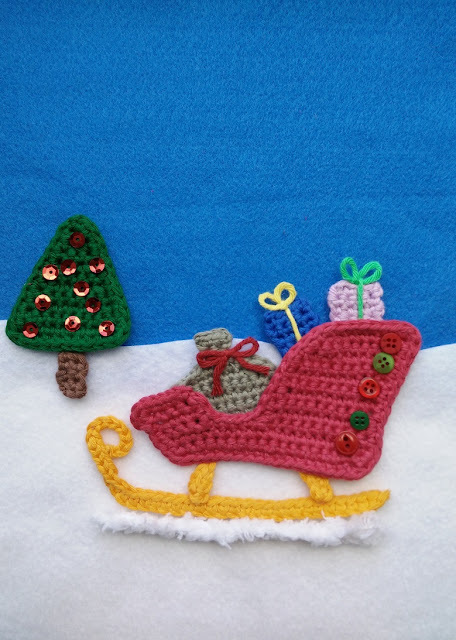 This is strictly a job for good, bright, daylight hours; snowflake yarn is a complete pain to crochet with and I need all the help I can get with being able to see where the stitches are.